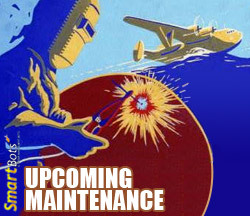 The web interface connection of SmartBots is going for a hardware maintenance today, Feb 18th at 8:00 AM SLT. The estimated downtime is 15-30 minutes. All bots will stay online, but they may not be able to send invitations for 5-15 minutes. Feel free to contact Glaznah Gassner in-world for details. UPD. Our tech support managed to do the work within 8 minutes. Praise the professionals! All services are up and running again. We did a long-awaited fix which allows making your bot stand up using the bot Control Panel. Just specify an empty value in the “Object to sit” input bot, and your bot will stand up and give up sitting on any objects. Thank you for reporting this bug! P.S. To appreciate the bug reports and wishes you posted there’s a new Store coupon 30OFFEVERYTHING available untill Feb 20th. This coupon gives you a 30% discount on any Store purchase. There’s a limitation though: you can use this coupon only twice. Choose wisely!